OTHER NAME(S): Bioflavonoid Complex, Bioflavonoid Concentrate, Bioflavonoid Extract, Bioflavonoïde de Citron, Bioflavonoïdes, Bioflavonoïdes de Citron, Bioflavonoids, Citrin, Citron, Citronnade, Citrus, Citrus Bioflavones, Citrus Bioflavonoid, Citrus Bioflavonoid Complex, Citrus Bioflavonoid Extract, Citrus Bioflavonoids, Citrus Extract, Citrus Flavones, Citrus Flavonoids, Citrus limon, Citrus limonum, Citrus Medica Limonum, Citrus Peel Extract, Citrus Seed Extract, Complexe de Bioflavonoïdes, Complexe de Bioflavonoïdes de Citron, Concentré de Bioflavonoïdes, Eriodictiol, Eriodictyol, Eriodictyol Glycoside, Extrait de Bioflavonoïdes, Extrait de Bioflavonoïdes de Citron, Extrait de Pépins de Citron, Flavonoids, Flavonoïdes, Flavonoïdes de Citron, Jus de Citron, Lemon Bioflavonoid, Lemon Bioflavonoid Complex, Lemon Bioflavonoid Extract, Lemon Bioflavonoids, Lemon Juice, Lemon Oil, Lemon Peel, Lemon Rind, Lemonade, Limón, Limonade, Nimbaka, Nimbuka, Zeste de Citron. Lemon is used to treat scurvy, a condition caused by not having enough vitamin C. Lemon is also used for the common cold and flu, H1N1 (swine) flu, ringing in the ears(tinnitus), Meniere’s disease, stomach upset and vomiting from pregnancy, and kidney stones. It is also used to aid digestion, reduce hay fever symptoms, reduce pain and swelling (inflammation), lower blood pressure, improve the function of blood vessels, and increase urination to reduce fluid retention. Allergies (hayfever). Results from a small study show that using a nasal spray containing lemon and quince doesn’t improve allergy symptoms. High blood pressure. Middle-aged women who drink more lemon juice or eat more lemons seem to have lower systolic blood pressure (the top number). They don’t seem to have lower diastolic blood pressure (the bottom number). Meniere’s disease. There are some reports that a chemical in lemon might improve hearing and decrease dizziness, nausea, and vomiting in some people with Meniere’s disease. Pregnancy and breast-feeding: It’s unknown whether it’s safe to use lemon in medicinal amounts during pregnancy or breast-feeding. Stick to food amounts. 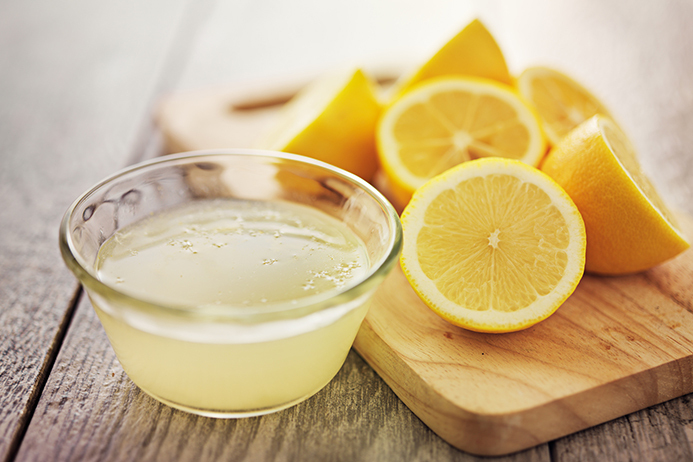 The appropriate dose of lemon for use as treatment depends on several factors such as the user’s age, health, and several other conditions. At this time there is not enough scientific information to determine an appropriate range of doses for lemon. Keep in mind that natural products are not always necessarily safe and dosages can be important. Be sure to follow relevant directions on product labels and consult your pharmacist or physician or other healthcare professional before using. Williams HL Jr. Eriodictyol glycoside in meniere’s disease. Trans Am Acad Ophthalmol Otolaryngol 1964;68:45-59. View abstract. Williams HL, Maher FT, Corbin KB, et al. Eriodictyol glycoside in the treatment of meni’ere’s disease. Ann Otol Rhinol Laryngol 1963;72:1082-101. View abstract.